April 8, 2016 - Wyoming Governor Matt Mead recently signed into law a bill aimed at curbing a practice known as "patent trolling", which affects people and businesses nationwide. Patent trolling is when persons or entities claim ownership of patent rights and then threaten or actually bring bad faith patent lawsuits against users who allegedly infringe on those patent rights. Individuals and businesses, almost never suspecting they could be engaging in patent infringement, are common targets of patent trolls. 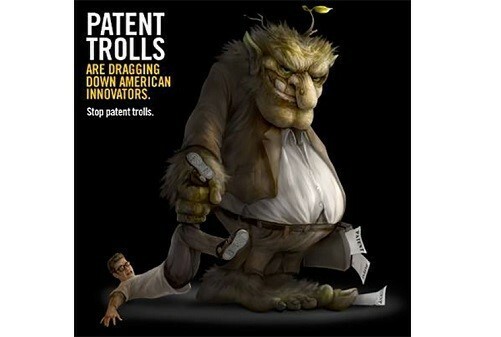 Usually, there is no actual infringement and the patent trolls don’t own the right to enforce the patent. Unsuspecting victims rarely investigate the patent troll’s legal rights, if any, and the bad faith threats are usually enough to spark a quick monetary settlement. And those settlements add up. Research indicates that legal fees and damages related to patent trolls could cost the national economy as much as $29 billion per year. Having itself been a victim of such practices, Union Wireless worked closely with Wyoming Senator Cale Case, the bill’s sponsor, to develop the legislation and assist in its passage during the 2016 session. Union Wireless is encouraged that others in Wyoming can now avoid the expense and distraction brought on by the threats and bad faith practices of patent trolls. The new law, which will take effect beginning on July 1, 2016, is expected to have significant economic benefits for both individual consumers and businesses in the state. Wyoming joins at least 30 other states that have passed laws making it illegal to assert patent infringement in bad faith. The new law safeguards Wyoming citizens and businesses by making it illegal to threaten patent prosecution by demand letter when the writer knew or should have known that the patent was unenforceable; owns no rights to enforce the patent; or falsely makes a threat that a lawsuit has been or will be filed. The law also grants the victims of bad faith patent prosecution a legal right to sue the patent troll for both actual damages and punitive damages of up to $50,000 or three times the total actual damages, whichever is greater.